The assisted living retirement community at Heather Glen in Ardenwoods is an active, 48-residence plan just 15 minutes from Asheville and Hendersonville, North Carolina. Here, we blend the opportunity for activity and involvement with 24-hour support and assistance. Our focus is on your personal needs and choices, allowing you to live at your highest level of independence supported by multiple levels of care that includes the latest treatment programs and rehabilitation therapies. Residing at our private secure wooded campus, experience all of our dynamic wellness options designed to enrich your independent lifestyle. Multiple levels of care are available to support and enhance changing, diverse needs. Heather Glen Assisted Living ensures the comforts of home combined with the security of knowing that help is always close at hand. This aesthetically pleasing location, staffed by friendly professionals is a highly supportive environment, which ideally blends privacy, comfort, and desired, required services. Our team of experienced, caring professionals is focused on creating a community centered on our residents, their families, and their friends. 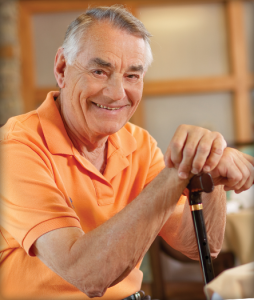 At Heather Glen, personal assistance is our priority. We take the time to learn about desires for your comfort and individual needs in order to build a lifestyle service plan with you at the center. Your preferences to your lifestyle here matters to us. If you prefer a late breakfast rather than early, an afternoon walk or an evening stroll, your choices are our priorities.